REAL wood for REAL people. We are passionate about what we do, because we believe in the inherent good that comes from using salvaged building materials and reclaimed antique wood. Our premium reclaimed wood products are easy to maintain, healthy for people, and environmentally, socially, and economically responsible. That’s sustainability for you. We are an experienced business with a great sense of personal service and understand that our success is built through the relationships we have with our clients. It is our goal to understand what types of reclaimed wood our clients buy so we can directly offer this material. We make sure we stay up-to-date with news and industry trends, because at The Jarmak Corporation, we pride ourselves on offering the highest quality reclaimed wood you can find today. There’s nothing phony or affected about us. Just real, hard working people supplying real, beautiful, premium reclaimed wood. “It was over twenty years ago when I had a vision. I was working with the Amish in Pennsylvania, and I noticed how they saved EVERYTHING when tearing down their buildings. This concept was foreign to the building industry at the time, but to me it made all the sense in the world. So I brought this idea back to the Boston building scene with me in the early 90’s. “As a lifelong New Englander, I was always surrounded by a rich colonial history. This came in a large part from my parents. My mother was an interior designer who embraced the Colonial design of New England. My Dad was obsessed with the history of the region. In addition, he instilled the importance of conservation. Junior has been with our company since the beginning. 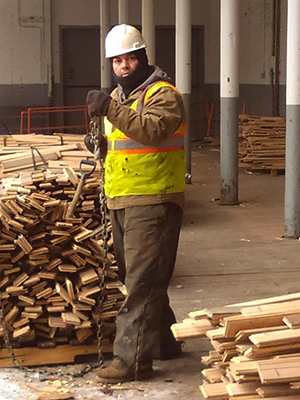 His teams work diligently to bring our precious wood home, safe and sound. As one of our original employees, Junior has developed strong relationships with many of our clients, demolition contractors and developers alike. He always has a smile on his face, and a joke in his back pocket. 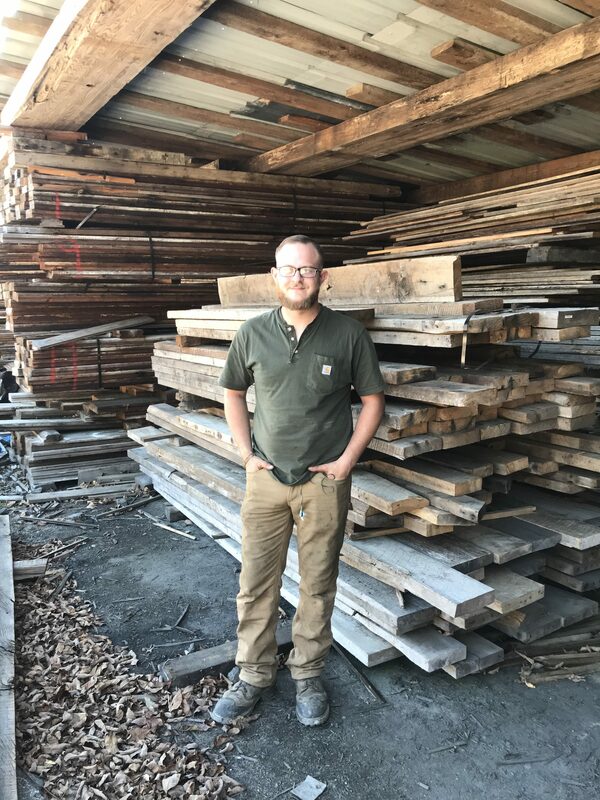 But don’t let his wit and charm fool you, he is the hardest working man on our team, and puts in long hours each day just to make sure we maintain the highest quality reclaimed wood products in our inventory. 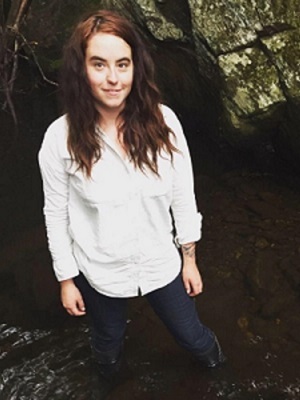 Jessie handles the administration and web portion of our business, but is passionate about the reclaimation of this amazing lumber, and loves to help people find a way to give it a second life. 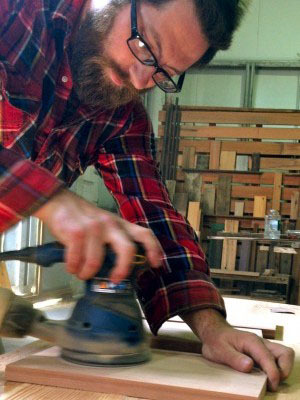 Codi loves working with reclaimed wood because of the history and background story of it. 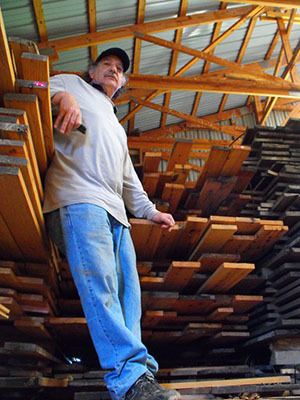 Codi is passionate about saving and repurposing both wood and the history that comes along with it. We’re always just a click or call away.We like to stay in touch with you throughout the process to ensure things run smoothly, in what ever way works best for you: phone, text, e-mail, or even in person! Our team of professionals loves to find new and exciting ways to put reclaimed wood to great use. If your stuck, give us a shout, we’re full of great ideas to get you moving in the right direction. Our historic reclaimed wood may be hundreds of years old, but our technology is not. We use cutting edge tools and equipment to help minimize yours and our costs- to make sure you always get the highest quality service, and the best premium reclaimed wood products in the world. Many reclaimed wood companies have a knack for disappearing on you after they get their money… we think that’s a sketchy way to do business. We’re always open and honest about our products and services so you can be sure to choose the best fit for your project.